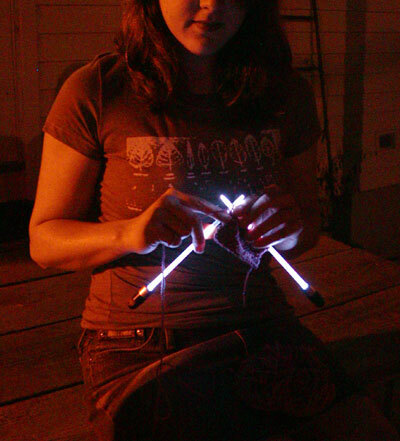 so Jessica and I went to TNNA in Indiana, and came across these light-up knitting needles… had to have them! they are a bit expensive due to the fact that they are handmade in the USA, but they are too cool and totally useful… i knit in the car ALL THE TIME, so now i can retire the ear-flashlight and knit on! They will be on sale at kpixie tomorrow… i know some of you will want them for the novelty of it, but really, these babies are going to make my car trips and knitting in front of the tv more constuctive and way more fun. ps. i got to have drinks with her in Indiana! she’s VERY cool, i’m glad we got to meet. :o I want! They are wonderful! 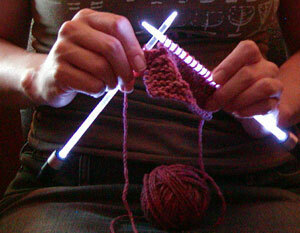 They’re a really great idea, cos sometimes it’s just too difficult on the eyes to knit when the lighting isn’t good. Think I could get some in the UK? OOOH. 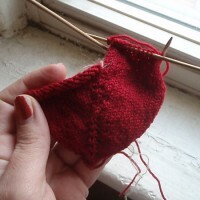 It’s like magical knitting. I’m enthralled. I bet it would be so freaky to see them moving. Rave needles. 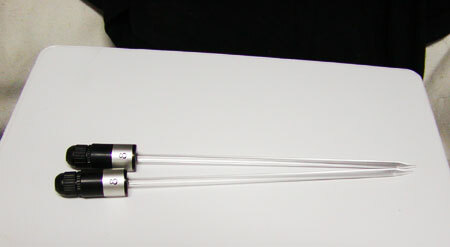 those are tooo cool- like mini lightsabers! And HOOKS as well! I’m so there. Midnight crocheting will be so much more fun with these lite-up cool tools. Wow, those are so awesome! Where did you get these??? All I can find are ones that only light up at the tip! What is the TNNA? I live in Indiana. Those needles are absolutely amazing! 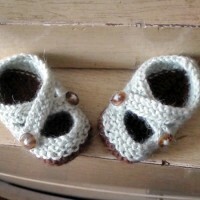 I would love to order these for my Mom she knits all the time. Can you supply me the website so I can place an order. I know this is an old post, but do you remember the brand of these? Kpixie no longer carries them. need some help with your blog?